While marijuana legalization is gaining traction in the United States, it is still federally illegal to possess. That’s why stashing your cannabis conspicuously could be just as important as not getting busted buying it on the streets. In most states, you need to keep your cannabis secure. That is why having the perfect weed stash box is so important. 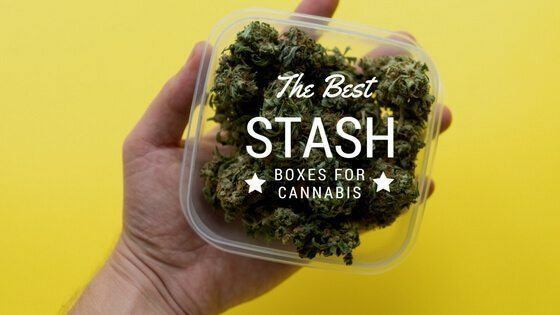 Today, we will take a look at not just the best weed stash box, but the top 29 stash boxes! Just like the weed inside the box, stash boxes are created to serve different needs. For some, having a stylish piece that blends in with the rest of the decor is important. For others, they want compartments and rolling stations. And yet some need a strong enough case to mask odors and not draw any attention to it. Whatever you use a weed stash box for, I have tried and tested the best ones out there. So if you have any specific needs, read on to find the right stash box for you. If you’re looking to get lit, LITT will get you there. This stash box is for a weed enthusiast who is not afraid to show it. The words LITT are inscribed on the outside of a stylish black case. There is a little flame used as the dot of the I, which further shows that this is for smoking paraphernalia. While the outside is nice, it’s what’s inside that matters. This piece has three compartments, including one with cubbies. Therefore, there is plenty of room for bud, cartridges, rolling papers, and lighters. 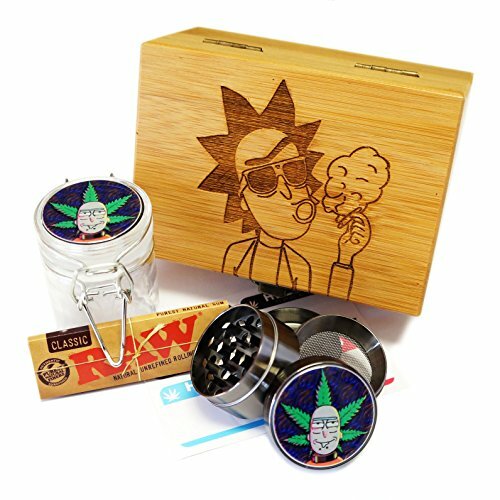 The best part of this stash box is the rolling station. 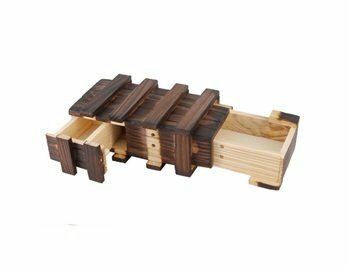 It’s a moveable piece with a trench that allows you to canoe your rolling papers inside. This is the ultimate weed stash box for anyone who loves to roll up on the go. This safe is marketed to stow away money, identifications, and jewelry, but it is also ideal for those who want to stash their weed. 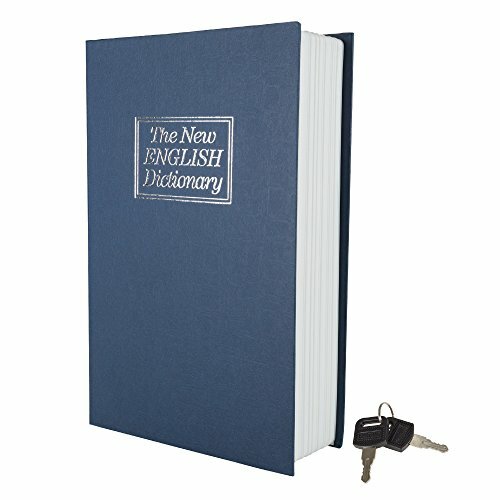 What makes this lockbox unique is that it’s created to emulate a dictionary. 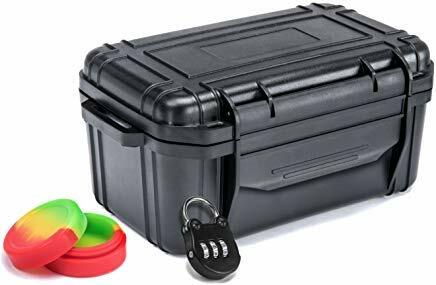 That makes this lockbox perfect for the weed user who would like to keep their use under lock and key. 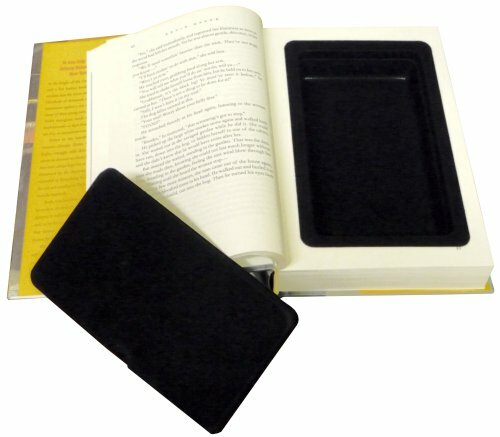 You can conveniently hide your weed on a bookshelf in a “book” that no one would try to flip open. So, if someone catches on, you can easily play off that it has your money, identifications, and jewelry. The downfall is that this isn’t compartmentalized. Therefore, everything gets thrown about, making it easier for your bud to get broken down into shake. Also, while sturdy, it’s the not best mask for smell. It won't stink up your room, but if someone were to sniff your book randomly, you'd probably get caught out. This thing looks like a safe that The Terminator would use. It is pretty small in stature but can hold a lot of stuff. The inside has many compartments that are various sizes. 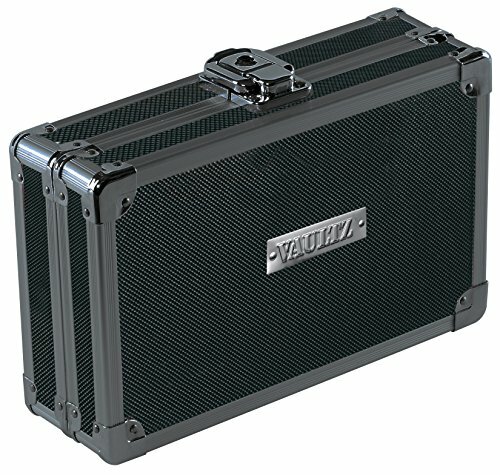 What I like about the Vaultz Locking Utility Box, is the differing ways to secure your belongings. For instance, the top of the case has zipper compartments, which is ideal for holding bud. The pouches are small enough that your bud stays in a cocoon, and the zipper mechanism ensures that they won’t leave. On the bottom half of the vault is a mesh liner that is perfect for stash lighters. This is next to an open area compartment that would work perfectly for a rolling station. When you are done rolling up, you can stick your unused rolling papers underneath the ribbon there to hold them in place during transit. This is some of that hidden spy stuff you always dreamed of having as a kid. Here you have an authentic clock. It has a contemporary look and would fit in with the decor in almost anyone’s home. However, it’s not your ordinary clock on the wall. No, this thing opens up to be a safe. While that is neat and makes all your childhood dreams come true, it’s not the roomiest. There are three shelves inside of this clock that is not very far apart from one another. Besides rolling papers and lighters, there isn’t much room for anything else. If you put a big heaping bag of bud inside, expect it to fall out at you every time you open it up. 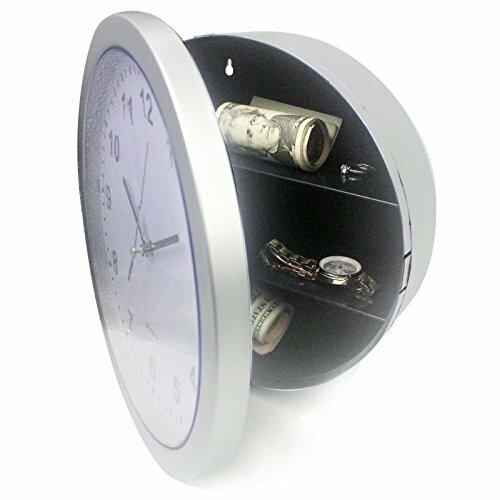 This clock safe may be a practical idea because it kills two birds with one stone. Everyone needs to tell time, and they all have something they want to store. If that something you want to store is cannabis, then this clock's not for you. Talk about having your pot and smoking it too. This is a neat idea, but poor execution. For one, the safe sits underneath the top part of the flower pot, which does not secure to the safe. So, if someone were to pick up the top, they would see the safe. Secondly, you can only put fake plants (or cactus) in this. That’s because there are no holes on the bottom. Therefore, if you were to water your plants, you would suffocate all the microorganisms living in the soil that are necessary for the plant to flourish. Lastly, it’s ugly and not very deep. While it’s a big hole and would be great for storing weed (and also might make some sense for the vague smell), there isn’t room to store much else. This is another book safe. Whereas with the dictionary, you knew what you were getting, with Southwest Specialty, it can be a crapshoot. The safe claims it comes inside of a book with a few pages. However, you could get one with no pages. So, as soon as you open the book, your stuff is there for everyone to see. It’s not very secure, isn’t roomy enough for all the things I would want to stash, and the product being shipped is inconsistent. I recommend just going with the Stalwart dictionary instead of the Southwest Specialty if you your bookcase is your ideal stashing spot. The Stash Box is a simple, yet clean design that would look nice on any end table, but wouldn’t be criminal if you tucked away under the bed. It’s made out of bamboo, making this box pretty sustainable, which is a plus. Also, the compartments inside are a good size. A nice little extra touch that they add is the option of breaking the big compartment into two. There is a removable divider that seconds as a rolling tray. So after you are done rolling up your j’s, you can simply flip the divider over, and tuck in between the two walls of the stash box to make for more organized storage. Lastly, the top is compartmentalized as well. When you flip open the top, you will notice the bottom half of it has a cover that reaches over the top two compartments of the bottom half of the stash box. 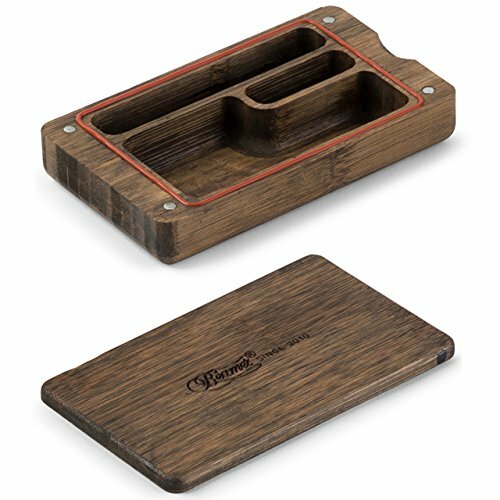 This is convenient for putting little storage pieces into, without having them escape their compartment and litter other parts of the stash box. However, the top also has a big open area that allows for you to stuff a pretty packed bag of bud. There’s enough room where the bud won’t get squished, but also keeps it contained from moving about too much and breaking off into shake. If you thought the clock was a cool spy gadget come to life, try this hair brush on for size. This brush does have legitimate bristles if you are looking to get the tangle out of your hair, but what you stash behind the bristles is what matters the most. Like any run-of-the-mill roller hair brush, there’s a top that looks like a cap. Unscrew that off, and there is your safe. This hair brush is intended to hold rolled up wads of money, or a few nuggets of bud. 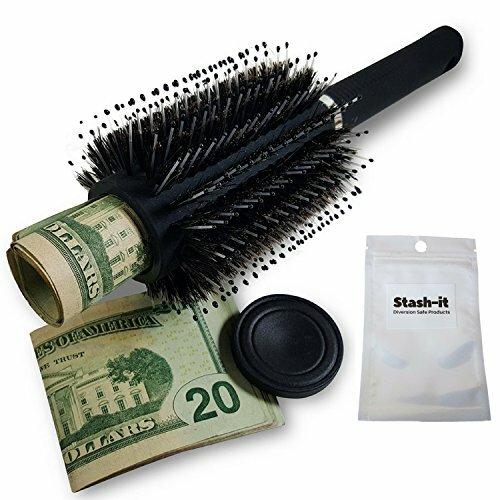 For those who prefer to stash the latter, the Hair Brush Diversion Safe also comes with a smell-free bag. That way, the scent of your bud won't give you away if your friend asks to borrow your hairbrush. All-in-all, the Hair Brush Diversion Safe is great for the smoker on-the-go. You can just throw it in your purse with a little bud inside the “Stash-It” pouch, and be on your way without drawing any attention to yourself. Right off the bat, the design captivated me. Made completely of wood, this piece has a very modern design to it. 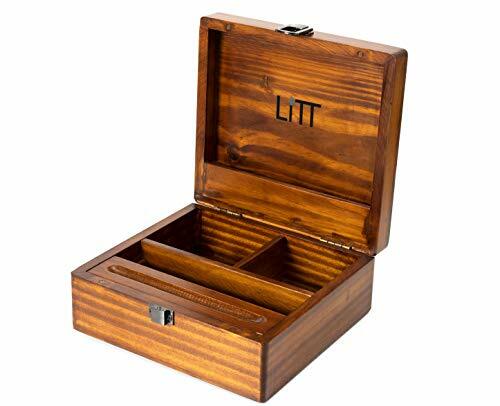 While small, this Magic Wooden Box has three separate drawers that pull out. Each one has an individual locking mechanism, making the whole piece more secure. This may be a pretty piece and offer a lot of security, but sometimes it's too secure for the user. It’s like a puzzle piece trying to open more than one drawer at once. If you have the biggest or smallest drawer open too much, then the others won’t open. However, if you time it just right you can have all three sections open at once. I don’t know about you, but when I’m trying to smoke, I don’t think I want to figure out the algorithm to get to all the areas I need. Also, the drawers aren’t the biggest. Therefore, you can't store too much in here, and if you do, then you run the risk of getting the drawers jammed. I think this makes for a pretty coffee table decoration rather than a practical weed stash box. The SMOKESAFE Mini Odor Resistant Case is everything it claims to be in the title. This thing is compact and convenient. You can easily slip this into your pocket with an ounce of bud, and no one would suspect a thing. What makes this such an effective odor-resistant case is that the lining is made completely of rubber. Therefore, it suctions shut to the other half. It also comes with a pressure-release screw that lightens up on air-pressurization. This helps keep odors to a minimum but also helps preserve the freshness of the product inside. The only drawback of putting this piece in your pocket is the design of the case. It has a bunch of ridges on the outside that makes this case resemble the kits camera operators carry their equipment in. While effective in protecting products and holding in odors, it’s not the most comfortable to stick in your pocket. That caveat aside, if you throw the SMOKESAFE Mini Odor Resistant Case into a bag, then I highly recommend this product. The Herb Lab Smell-Proof Container is great for bowls. It comes with a double-layered padded foam piece that has rivets cut into it that you can easily slide your bowl and lighter into to ensure that they don’t move about as you travel. 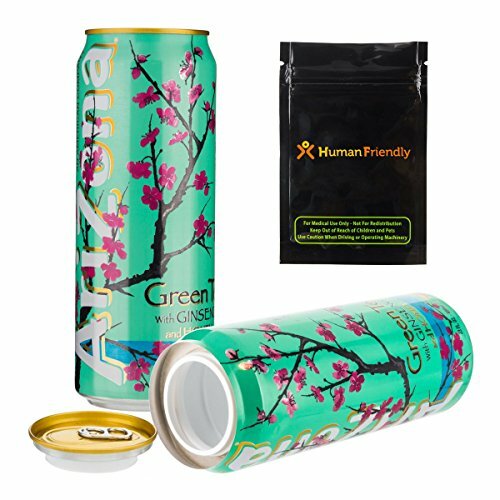 Another perk is that this product comes with a mini-stash can. Here you can toss in a nugget of bud and slide it the same section you put your lighter. As far as storage, that’s it. While odor-resistant is a great concept for someone looking stash ounces of bud, the foam layer takes up too much room in the actual case. Therefore, this isn’t ideal for mass quantities of bud. This case is pretty inconspicuous, as it looks like a makeup kit. It also comes with a combo lock that you can fasten for additional security. However, if you were to venture out with a locked up makeup box, your cover might be blown. If skulls are your thing, then this is the stash box for you. The outside of the box has a knotted Celtic skull and is accompanied by the texts, "Ruler of the World," and "King of Death." Not my cup of tea design-wise, but it’s hard to knock this product otherwise. The Hakuna Leather Skull Box Book comes with a lot of goodies. First, it has a heavy-duty metal grinder and an airtight tin that holds a little amount of bud. While that metal container is odor-proof, this stash box is not. It does have a magnetic seal that keeps the contents from falling out, but the odor does leak a little. The inside is very spacious and has more than enough room to hold a decent amount of bud and any paraphernalia you want to keep near your stash. The first impression of anything you buy is how the product looks. 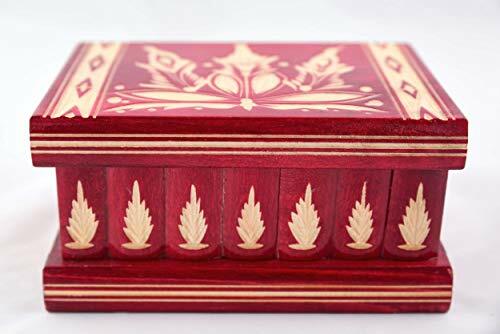 So at first glance, this is a stunning stash box. A Tree of Life is carved onto the wood and is complete with a beautiful finish. While this attracted my eyes, if you had this case out on your table, it would pull in the eyes of any of your guests as well. With that small caveat aside, this is one of my favorite stash boxes. For one, you get a lot of valuable goodies with this purchase. 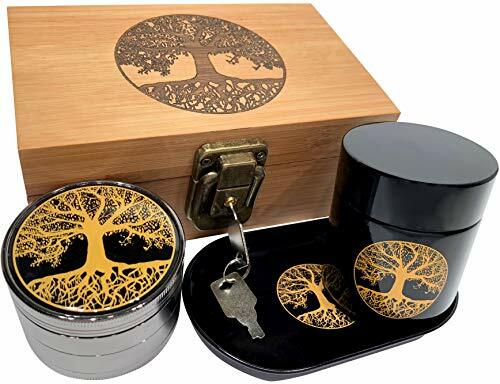 The stash box comes with a Tree of Life engraved titanium grinder and a smell-proof glass jar with the symbol emblazoned on the side. Aside from the continuity in the design, everything is of the best quality. There is a lot of room inside the stash box, and along with the glass jar and the insulated box, the odor did not escape. On visuals alone, this stash box has a lot of character. 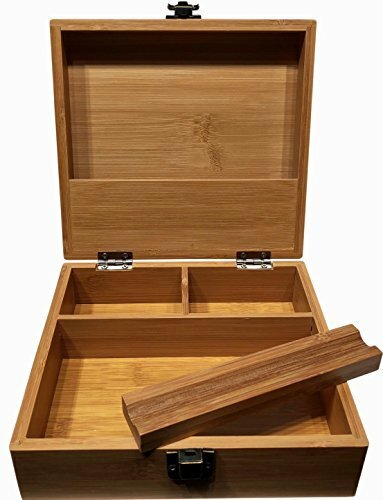 Like many other stash boxes, this product is made out of bamboo. However, it has a rustic, dark brown finish that makes it not look like a bamboo box. In comparison to other bamboo boxes, this is like a tablet compared to a laptop. 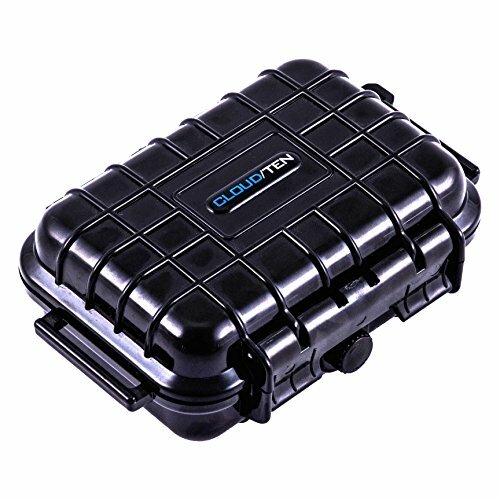 While it’s convenient to travel with, the Beamer Pocket Box doesn’t give you much room to customize the storage space to your liking. Three distinct cut-outs are shaped to fit a pipe/bowl, a lighter/rolling papers, and a little container of bud. This is perfect if you don’t need to carry around all the bells and whistles when you are looking to enjoy a puff on-the-go. The Discreet Smoker Smell-Proof Bag claims to be dog-tested. I can tell you this much; a human will most certainly not detect the scent. However, I haven’t gained the courage to test the waters with a drug-sniffing dog yet. Smell-proof aside, this smell-proof bag comes with a one-hitter, a cleaning tool, and a box to carry your one-hitter and some bud. You load some bud into one side of the box's chamber and push the end of the one-hitter into it to get some weed in the pipe. 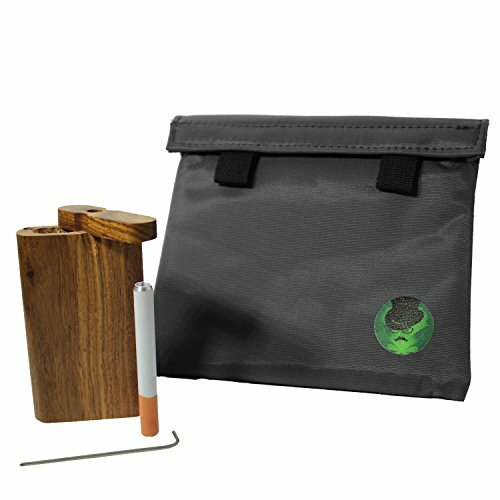 There is room in this bag for much more than just the one-hitter and tools that come with it. It’s very versatile for all of your weed storage needs. 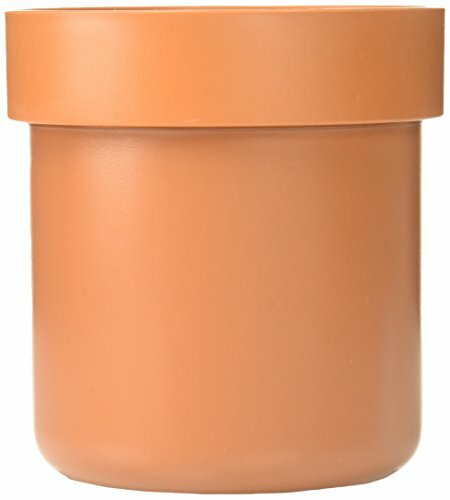 However, being as it is a bag (with a unique logo on it that would draw anyone’s attention), it’s not the most discreet for weed storage. The Bewild Pringles Stash Can is exactly what you’d expect...a Pringles can. However, the bottom unscrews to reveal a safe. Regarding being conspicuous, this might be the best bet. It feels real because it IS real. In fact, this safe even comes with Pringles chips. This is even more handy for when you get a case of the munchies. No one will suspect a thing if you throw this safe in a cabinet. While this will blend in with the rest of your kitchen, it is not odor-resistant. 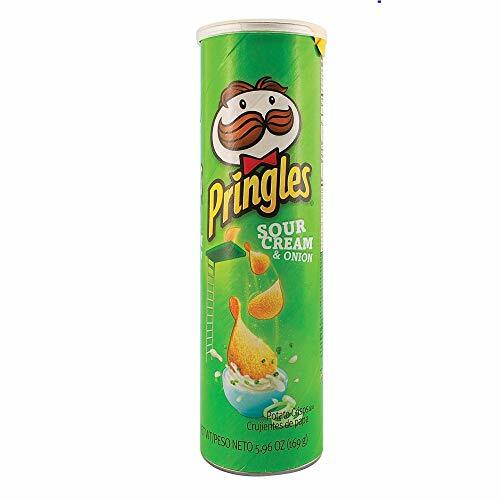 After all, it is just a Pringles can. There is no odor-proofing other than the smell of salty potato chips. Lastly, this a widely known brand. Therefore, if someone is rummaging for some chips in your cabinet, they may be in for a pleasant surprise. So, keep that in mind if you have kiddos coming to your house. This stash box is for the weed enthusiast who is not afraid to be a weed enthusiast. Immediately, you will notice that a stoner surrounded by a cloud of smoke is engraved right on the outside of the box. Personally, I like my stash boxes a bit more conspicuous, so the design is a bit of a turn-off for me. Secondly, this box is pretty small. You cannot fit a lot in it, which you will find out as soon as you open. That’s because it comes with a bunch of awesome goodies that occupies all the space. First, it comes with a zinc grinder. The teeth are very sharp and make for a smooth grinding. 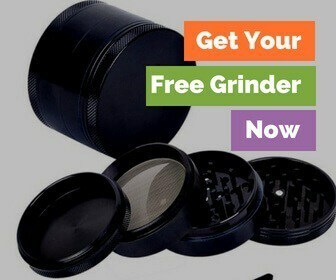 It also comes with a mesh screen in the grinder and a scraper for kief and dabs. This set also comes with a glass jar with a heavy duty sealing top. What’s nice about this, is the clasp on the top can also clip onto a package of rolling papers, keeping things a bit more organized. While these perks are nice, if you wanted to bring all of it with you, there would be little room for lighters or herb. So, if you only throw the essentials in this box, you should be good to go. However, I wouldn’t depend on this product for all of your cannabis storage needs. This product is much like the Pringles can one. The Coca-Cola Soda Can Diversion Safe is made from an actual Coca-Cola can. What makes this even more unique, is based on marketing strategies, regions, and upcoming promotions, the can may change its design to remain current. 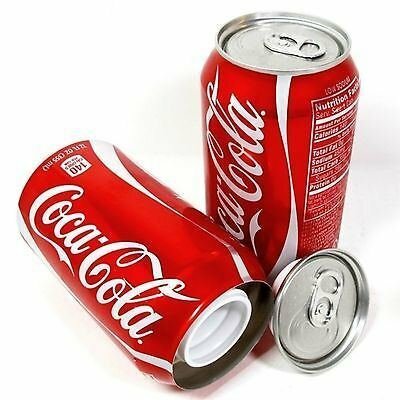 While there is no liquid inside, the product is weighted to give off the impression that somebody is holding an actual can of coke. While this may seem like an easy way to blend in with the rest of the items in your house, keep in mind that the labeling may draw attention to it. A guest may help themselves to a can of Coke and catch onto your set-up pretty quick. Other than looking like an actual soda product, this safe is just a can and not very impressive. There isn’t much storage space. That’s because Coke distributors drilled out an actual can and placed a plastic safe inside. So, imagine how small a can is, and then shrink your storage space even more. Lastly, this is not smell-proof. I would stick to throwing some money into this can and hiding it in the back of your fridge, rather than throwing it in the back of a cabinet with some dank weed shoved inside. Perhaps the least smell-proof of the safes, but it is unique. 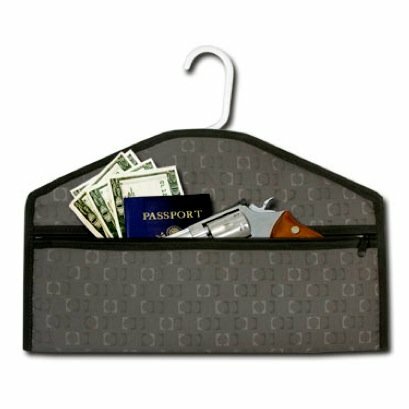 This fits on the back of any hanger and has a big zippered pouch that fits a lot of storage. It has a deep, lightly-padded pocket that can fit as much marijuana as you need, full-sized documents, and a gun. The fabric is heavy-duty, so it will not tear easily, but it does not do a very good job of masking the smell of marijuana. On top of that, you are placing them with your clothes. So, the whole closet (and your wardrobe) will start to smell like cannabis with time. Lastly, you cannot lock this storage. It's easy in and out with only a zipper entry. However, if you are looking for a place to store some valuables without taking up too much space, this safe is pretty neat. Now take the Coca-Cola can and Pringles container and think even smaller. Think of when you finish a stick of deodorant. There’s a little plastic piece at the bottom of the deodorant that pops out if you continue to roll out. With that piece out, you are free to hide a small amount of bud, maybe a lighter, but that’s about it. Unlike the Coke can, this stick does come with some deodorant. However, unlike the Pringles can, which came with a full inventory of chips, this is just a small amount of deodorant to give the perception that this isn’t a safe. If someone were to inspect your deodorant, the smell of bud would give you away in a heartbeat. Seeing as this made completely out of plastic, I see this is as unsustainable...and a waste of money. You might as well buy a full deodorant, use it, and pop the top off when you’re done. The play on real-life products continues with this Axe Body Spray Diversion Safe. This is an actual Axe Body Spray can but does not contain any spray. Much like the Coke can, it is weighted to give off the impression that this is a working body spray to anyone who touches it. 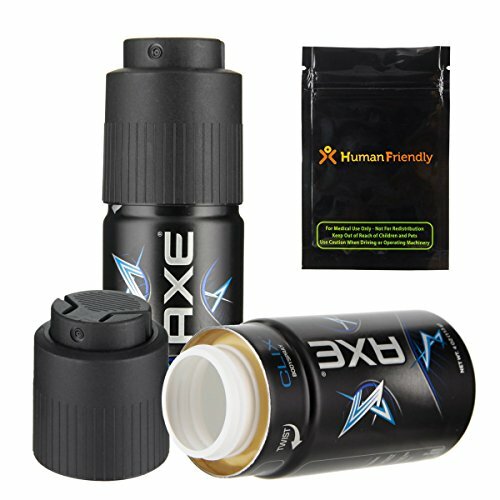 While Axe typically gives off a scent, this one hides smells. That’s because this container comes with a smell-proof bag. Simply unscrew the top and place the baggy inside. This perk sets this product a part of the Pringles, Coca-Cola, and Women's Speed Stick products. 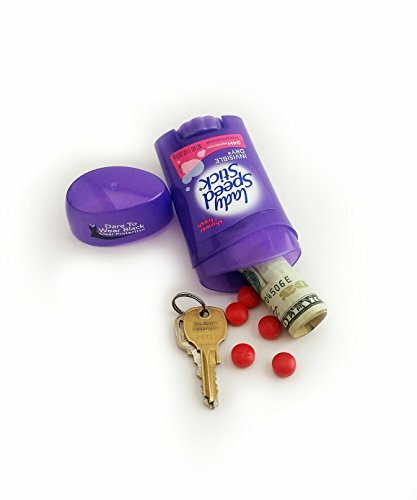 Regarding being discreet, this is ideal for an on-the-go person who wants to throw some weed into their car or gym bag. What makes this better than a can of soda or a container of chips, is the likelihood that someone will investigate or ask to borrow your deodorant are slim to none. You can travel around with this weed stash box confident that you will not get caught out. Holy magnet, this safe is strong. The Monster Magnetic is a magnetic box that shuts itself with magnets and then attaches to surface by magnets as well. Therefore, you can stash your bud on the side of the fridge, under a metal table, or to the bottom of your car. It comes with a foam insert, which is handy for packing a bowl, but the foam can also come out if you need to make room for heaping bags of weed. The magnets used on the outside to attach to other surfaces come on and off. That can damage the case after a few uses because these magnets do not come with washers. That caveat aside, there is a decent amount of storage within. It does not have a lock, but the magnets are strong. So, while you may not keep intruders from entering it, you do not have to worry about the box popping open if you are traveling with it. First and foremost, this safe comes with so many designs that it's almost hard to choose. That being said, I would probably choose none of them. You need to read the instructions on how to open this thing before using it...and then each time after. It is not an easy task because first, you need to slide the front piece under the main part of the box to the left as far as possible. Then slide the main part of the box to the front. Next, you slide and remove the panel that has the key. If you are still following, then you must slide down and remove a slat that is covering up the keyhole. Now, you can open the box by placing the key into the keyhole. Yeah, they weren’t kidding when they said this was a puzzle. When it’s all said and done, this is far too complicated for cannabis. If you have a rare valuable that you want burglars to never find, then this is the safe for you. This is unique because it looks like an electrical outlet. The faceplate is easy to change so that it matches all the other faceplates in your house. However, be prepared to damage your walls. This kit comes with a drywall saw for installation. However, this is a lot of work and damage to such small compartment space. Think of how small a faceplate is. 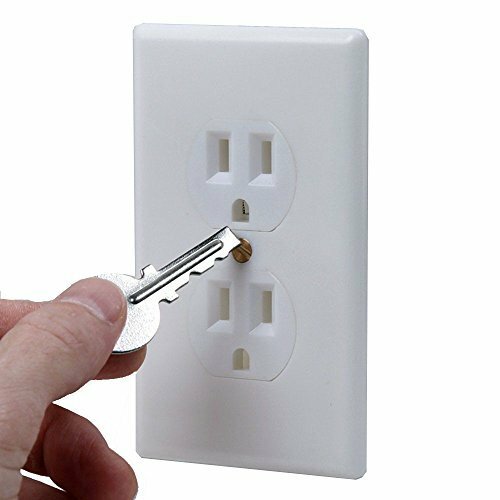 When you place the faceplate on the wall, to get to the goods, you must unlock the plate. From there, it swings down like a chute. That little area between the bottom of the faceplate and the wall is your storage space. The advertisement for this shows you can stash money, pearls, and keys. You can fit a little baggy of weed, perhaps a little jar of bud, but not much else. 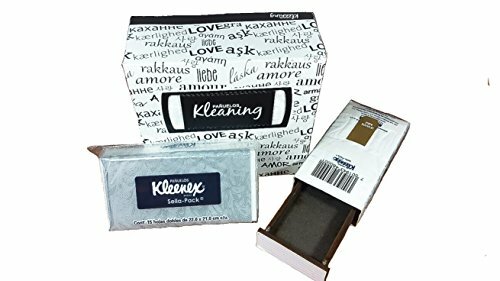 Much like the other real-life products on this list, this two pack is made to look like a large pack of tissues, as well as a pocket pack. While they look life-like, if someone were to pick them up, they would realize right away that they are made out of wood. The storage space in the big box of tissues is plentiful. While the drawer doesn’t come out very far, you can place things pretty deep down. 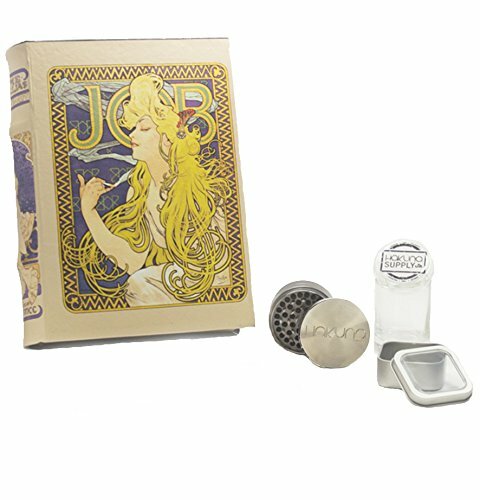 This makes it ideal for rolling papers, lighters, or even a few baggies of weed. However, this safe wouldn’t be able to hold much weight, as the drawer wouldn’t be able to close around multiple buds. The pocket size version is a nice way to carry a joint or two on-the-go. However, it is kind of heavy, so it’s not the same feeling as throwing a package of tissues in your pocket. 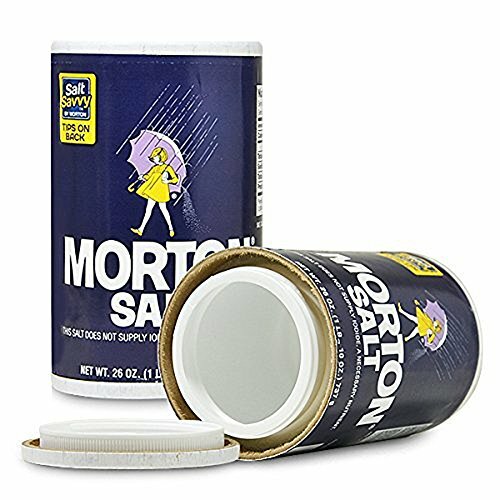 This is just a plastic safe situated inside a 26 ounce Morton salt container. It’s not very smell-proof, but 26 ounces is a lot of space. Therefore, you can fit a good amount of bud and all of your smoking accessories inside. While it is practical and roomy, there’s nothing else to this safe. I think I would rather buy the Pringles one just because you at least get some potato chips out of the deal. In fact, you would be better off emptying out your old salt container and making this yourself. You don’t even need the plastic insert that these manufacturers placed inside. Like most of the other real-life products, this isn’t smell-proof. Also, keep in mind that salt is a commonly used kitchen item. You are opening the door to having someone find your secret stash if you were to purchase this product. Immediately, this is bounds ahead of the Coke can because this thing is 52 inches long. Not only can you fit a lot into this can, but it is airtight. The top screws on and off and creates a seal. Therefore, the product inside not only remains fresh, but the smell stays trapped. That doesn’t mean it never smells. Because it is so airtight, if someone were to unscrew it, the sweet smell of cannabis will hit them right in the face. Other than that, this is more practical than the Coke can and more smell-friendly than the Morton Salt. Sure, it also hides the smell better than the can of Pringles, but I am a sucker for free potato chips. Usually, bleach and smoking don't go hand-in-hand. 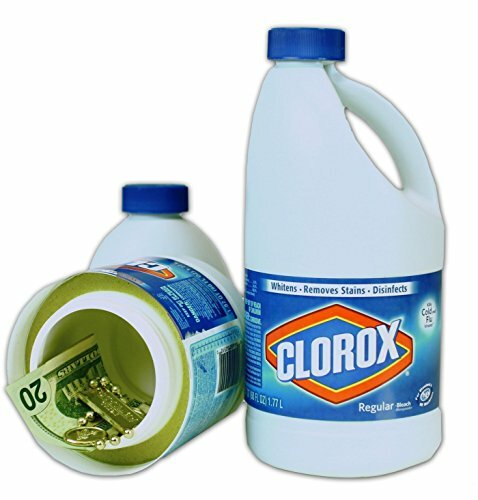 However, I love the storage space in this Clorox Bleach container-turned-diversion-safe. That’s where the compliments end. The top doesn’t even screw onto the bottom. You sort of pop it on and hope for the best. Due to this lack of sealing, the smells escape. If there were a way to take the inconspicuous nature that is a bottle of bleach and marry it with a smell-proof container that fastens, this would be a home run.